Macgo Free iPhone Cleaner for Mac - clean your iOS devices trash & cache and protect your privacy. 100% Safe and efficient iOS cleanup utility with No jailbreak required. 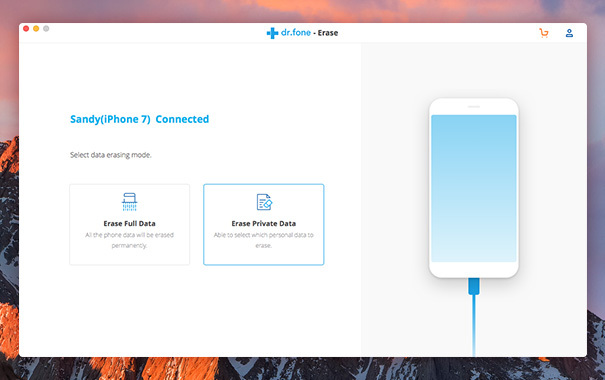 This iPhone data eraser is completely read-only software. It won't keep, modify or leak any data on your device. We take your personal data and account seriously. You're always the only person who can access it. Integrating various data analyzing technologies to clean up all types of private data. This iPhone Cleaner enables you to erase private data like photos, messages, contacts, call history, notes, calendars, and reminders are among the things that can be deleted. Data erased using this Macgo iPhone Cleaner can never be recovered. Optimize iOS Performance, Clean up junk files and fix various iOS errors with 1 click. Eliminating these caches and temporary files, your gadget will have more memory to execute apps, browse the internet, and play heavy games. The speed-up would be fairly significant on all your iOS devices. No matter you're using the latest iPhone SE, iPhone 6s, iPhone 6s Plus, iPhone 5s, iPhone 5, all models of iPad Pro, iPad Air, iPad mini, iPod touch 5, iPod touch 4 or the old iPhone 4, iPad 1, this iPhone Cleaner is fully compatible with all the models.